Forum for the Future: What is system innovation? Forum for the Future believes 'System innovation' will change in food and energy systems change for a sustainable future. By working with leading businesses and organisations, they aim to use our system innovation approach to transform the critical systems we all depend on, such as food, energy and finance, to make them fit the challenges of the 21st century. 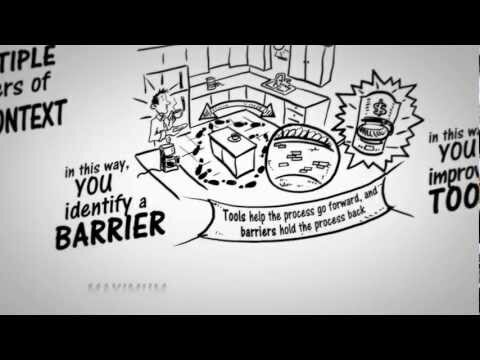 This video presents the system innovation approach. Starting with the simple task of making a cup of coffee, this white board animation creatively explains the basic concepts of systems thinking.